College management is really so nice n understanding principals from both aided and unaided are very cool and approachable. The management should spend a lot to make a the college look fresher and classier. It's a very old building now with all old materials and appliances and finishes. Rachana Sansad Academy (Architecture) was the brainchild of three young architects who laid the foundation stone for this educational institute in the year 1955. Although started as an institute to support the professional needs of young working men as well as women, today it is acknowledged as one of the elite colleges for studying architecture and building technology in India. Why join Rachana Sansad Academy (Architecture) of Maharashtra? The Rachana Sansad Academy (Architecture) in Maharashtra gloats over the prestigious award of ‘Le Corbusier’ conferred to it at NASA for excelling and proving to be the Best College of Architecture nationwide. The College gives due credit to the faculties and staff of the college who make efforts constantly at helping students achieve better results in their performances. 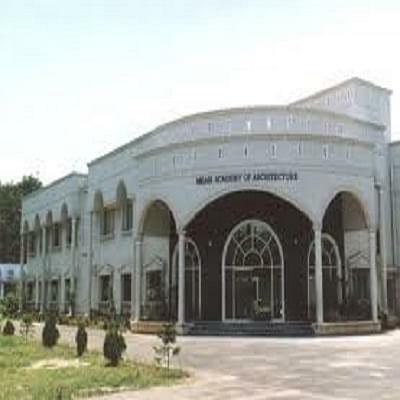 The Rachana Sansad Academy (Architecture) is designed to include air-conditioned auditoriums, splendid art gallery, well-equipped modern library, unique photography studio, well designed workshops for metal product designing, tailoring as well as weaving, sculpture studio and an amphitheatre. Indeed the students at this college can do nothing but make the most of the luxurious facilities offered to hone their skills. In the scheme of things, Rachana Sansad Academy (Architecture) plans to include additional floors after the 8th floor to house gymnasium, auditoriums and parking space for 100 cars to accommodate additional needs of the staff and students. Students at the Rachana Sansad Academy (Architecture) get a wonderful chance to learn more than just architecture. The College runs short term certificate courses both in music and photography. Hi Avinash, Its depends upon the merit list of the college whether you will get admission or not according to your rank. Hi Sanjay, to know about Hostel facilities, please contact on 0222-4301024, 24310807.